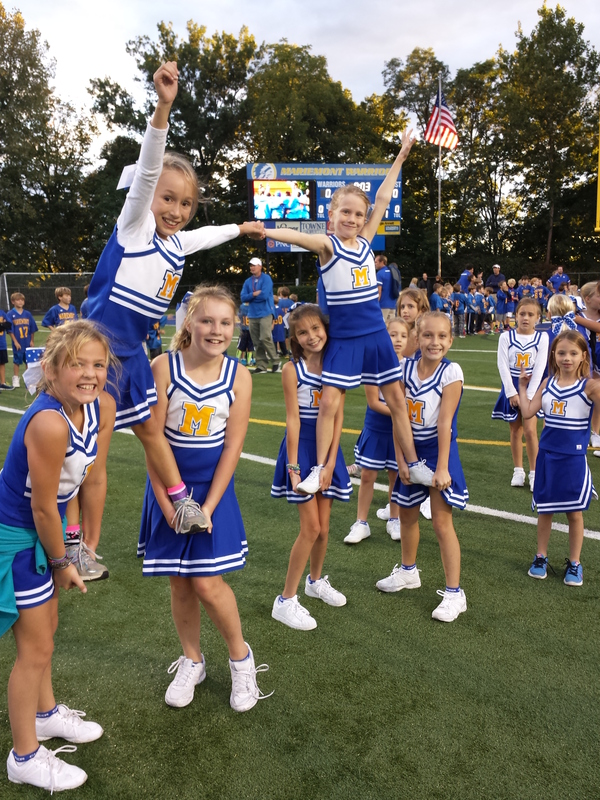 Mariemont Youth Cheer is a non-competitive and fun way to cheer on your classmates. The purpose of the program is to build school spirit and be part of a team and local community. Girls wear their uniforms on Friday's to school, march in the Homecoming parade, and appear on the high school field during a Friday night football game for introductions.